The Future of African Bandwidth Markets provides an unprecedented view into African international capacity demand, supply, key players, pricing and evolving business models. 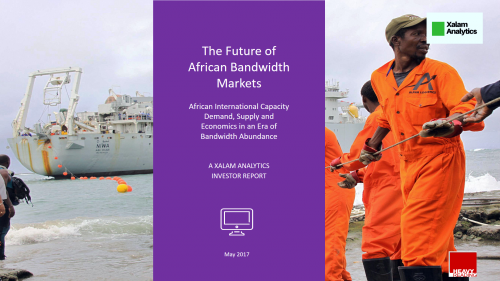 It explores key questions such as the size of demand, the impact of capacity oversupply, the economic viability of proposed cable systems (SACS, SAIL, Liquid Sea, etc. 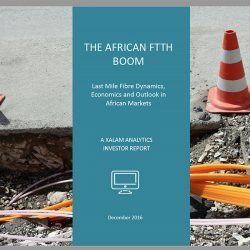 ), the future of African pure play capacity models, the impact of new wholesale capacity disruptors such as Angola Cables and Djibouti Telecom, how much lower international capacity price points can go, the impact of IXPs, which players will control African international capacity in 2020 and more. 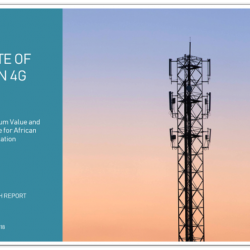 A reference report for all players and investors in the African international bandwidth market. 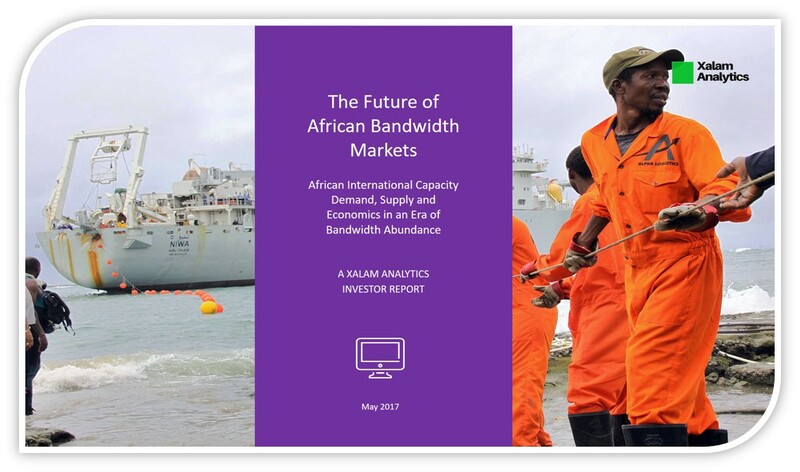 The most comprehensive independent report available on African international capacity markets and part of Xalam Analytics’ “Future of the African Internet Series”, The Future of African Bandwidth Markets provides an unprecedented view into African international capacity demand, supply, key players, pricing and evolving business models. You can purchase by credit card, for immediate download on the store page of this site. Don’t take our word for it. 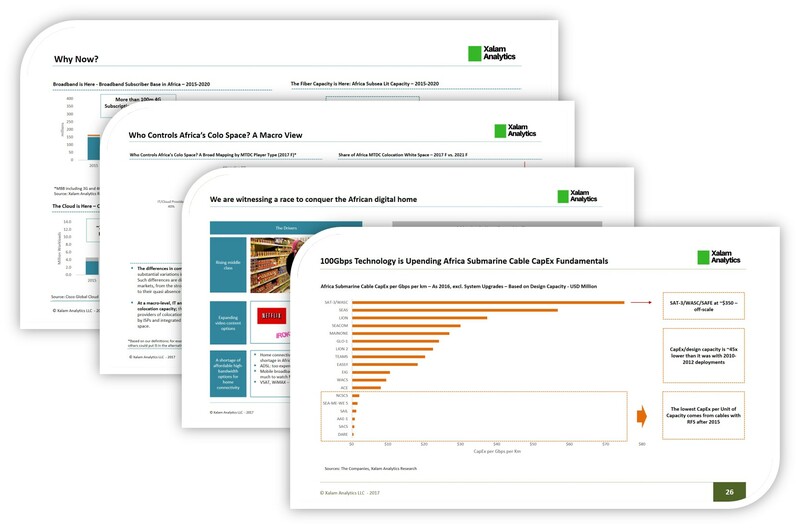 Download and see Table of Contents, Sample Pages, Numbers, and more. 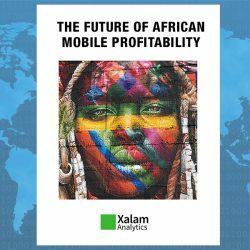 110 Pages of analysis and extensive data on African international capacity demand, supply, key players, pricing and evolving business models. 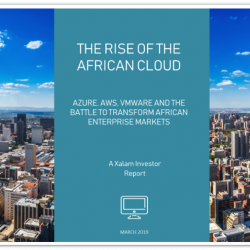 PART III Can the African Wholesale Model Survive an Era of Bandwidth Abundance?